LONDON The unexpected decision by the U.S. Federal Reserve to keep its monetary stimulus unchanged jolted financial markets Thursday, sending stocks and commodities sharply higher. The Fed's decision Wednesday to maintain its $85 billion in monthly asset purchases was a surprise. Most Fed watchers were predicting that the central bank would begin the process of unwinding its stimulus, so-called "tapering." A $10 billion monthly reduction was the consensus in markets. Instead, the Fed did nothing and chairman Ben Bernanke voiced worries over the state of the U.S. economic recovery and the still-high levels of unemployment. The response in financial markets was immediate -- stocks around the world surged, with the major U.S. indexes and Germany's DAX striking record highs, while the dollar and U.S. government bond yields were pummeled. Commodities, such as oil and gold, were also in demand as were financial assets in many emerging markets as much of the money generated by the stimulus over the years has been invested around the globe to seek potentially higher returns. Why did the Fed delay tapering of bond purchases? "Given the extreme moves in financial markets overnight and this morning, some participants have been on the receiving end of a short and sharp lesson on the dangers of attempting to second guess the U.S. Federal Reserve," said Brenda Kelly, senior market strategist at IG. In Europe, the FTSE 100 index of leading British shares was up 1.4 percent at 6,651 while Germany's DAX rose 1.1 percent to 8,733. The CAC-40 in France was 1.1 percent higher too, at 4,214. Wall Street was poised for further gains at the open following Wednesday's dash higher in the wake of the Fed statement -- Dow futures and the broader S&P 500 futures were up 0.4 percent. The repercussions of the Fed statement will likely influence markets for several days but investors will in the meantime continue to monitor the U.S. economic data to get a steer as to when the central bank will begin the tapering. Since the financial crisis of 2008, the Fed has been in emergency mode, and has slashed interest rates and pumped trillions of dollars into the U.S. economy to prevent the recession in the world's largest economy from turning into a depression. That objective has been achieved but the U.S. economic recovery has been paltry by historical standards. The main focus later will be weekly jobless claims as well as existing home sales figures. 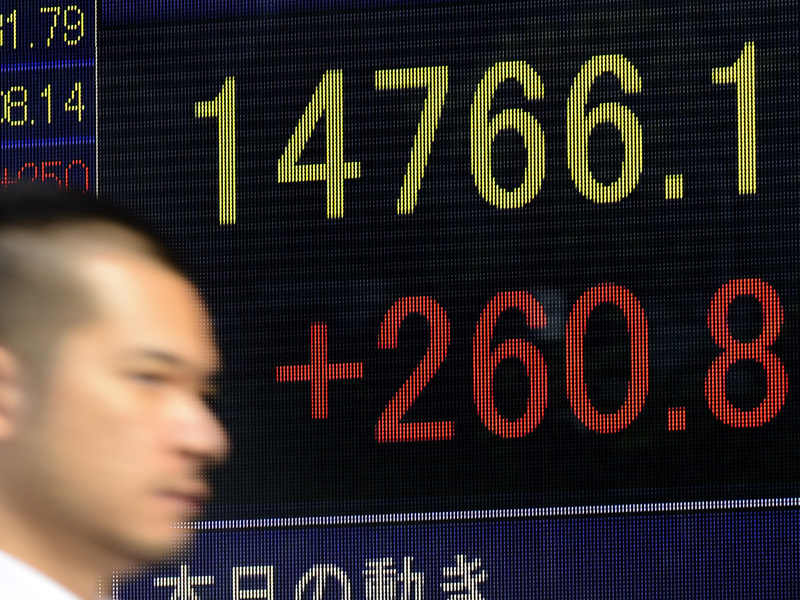 Earlier, the Nikkei 225 in Tokyo shot up 1.8 percent to close at 14,766.18, even though government data showed a bigger-than-expected trade gap. Elsewhere, Hong Kong's Hang Seng advanced 1.7 percent to 23,502.51 and Australia's S&P/ASX 200 added 1.1 percent to close at 5,295.50. Benchmarks in Indonesia and Thailand rose 4.7 percent and 3.3 percent respectively. The Philippines, India and Singapore also posted strong gains. Markets in South Korea and mainland China were closed for public holidays. The market moves were not confined to stocks. The dollar was sold off in the immediate aftermath of the Fed statement as investors priced in the prospect of more dollars swirling round financial markets. On Thursday, the currency stabilized somewhat, with the euro up 0.3 percent at $1.3553 and the dollar 0.8 percent higher at 98.92 yen. "The Fed's action last night should further delay a dollar recovery," said Jane Foley, senior currency strategist at Rabobank International. Oil prices got a further lift, with the benchmark New York rate up 83 cents at $108.90 a barrel. Gold was also in the ascendant as investors fretted that the extended stimulus may stoke inflation -- the price for an ounce of the precious metal was up $55.90 at $1,363.50.